In a surprise this evening, Honda's decided to drop the embargo on the new 2009 Acura TL after so many teasing spy photos. Unfortunately, instead of the photo, they should have dropped the height of their front wheel arches. Yup, those suckers are higher than a Cheech & Chong movie. But, the good news is the 2009 TL will be available in two flavors, the first coming with SH-AWD (Super Handling - All Wheel Drive) and the second will not (Not-So-Super-Handling - Front Wheel Drive). Expect to see the new TL hit the streets in the fall of 2008. Full press release after the jump. 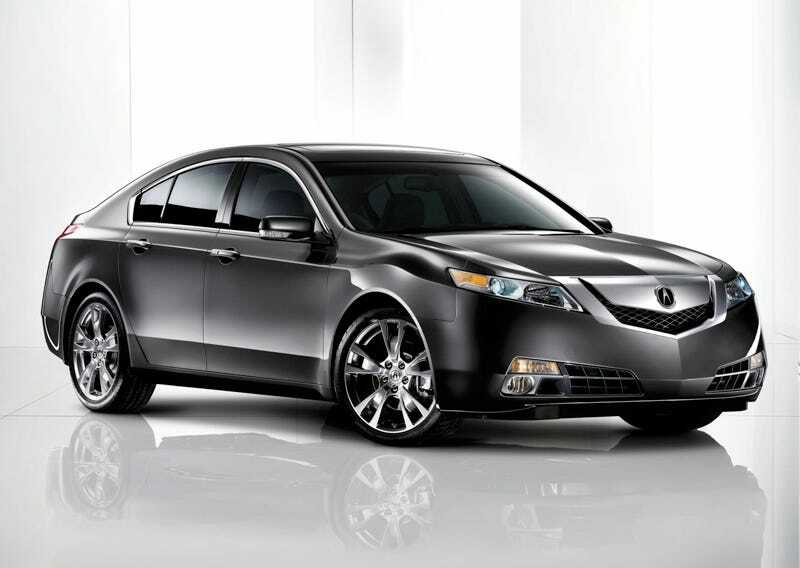 07/10/2008 -TORRANCE, Calif. - The all-new, completely redesigned 2009 Acura TL employs dramatic new styling along with a luxurious interior that includes more driver relevant technology than ever. Featuring the most powerful Acura engine ever, the 2009 TL will be available in two distinctive versions including the first ever application of Super Handling All-Wheel Drive(SH-AWD) on TL. Available in the fall of 2008, the new TL will deliver a driving experience that achieves new highs within the performance luxury sedan category. Acura offers a full line of technologically advanced performance luxury vehicles through a network of 270 dealers within the United States. The Acura lineup features five distinctive models including the RL luxury performance sedan, the TL performance luxury sedan, the TSX sports sedan, the turbocharged RDX luxury crossover SUV and the award-winning MDX luxury sport utility vehicle.